The City of Santa Clarita will host a ribbon cutting event on Wednesday, October 10, at 10:00 a.m. to celebrate the new San Francisquito Open Space located on the west side of San Francisquito Canyon Road and Lady Linda Lane. All interested in attending must RSVP by Thursday, October 4. The event is free and open to the public. The San Francisquito Open Space is a significant ecological area, home to many oak trees and important plants and animals. 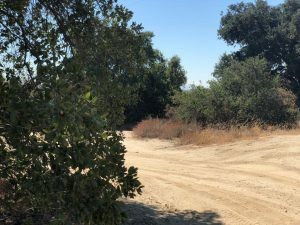 Once planned for a major housing development, the 176-acre land is now part of the City’s Open Space Preservation District and protected from development indefinitely. The event will take place at the new trailhead which includes parking spaces and an information kiosk. After the ribbon-cutting ceremony, attendees are invited to take a short group hike among the oak trees (approximately .15 mile). If interested in attending, please RSVP to Nicole Edwards at nedwards@santa-clarita.com, or at (661) 255-4939 by Thursday, October 4, 2018. For additional information on the open space, please contact City of Santa Clarita Administrative Analyst, Kristina Jacob at (661) 286-4177.